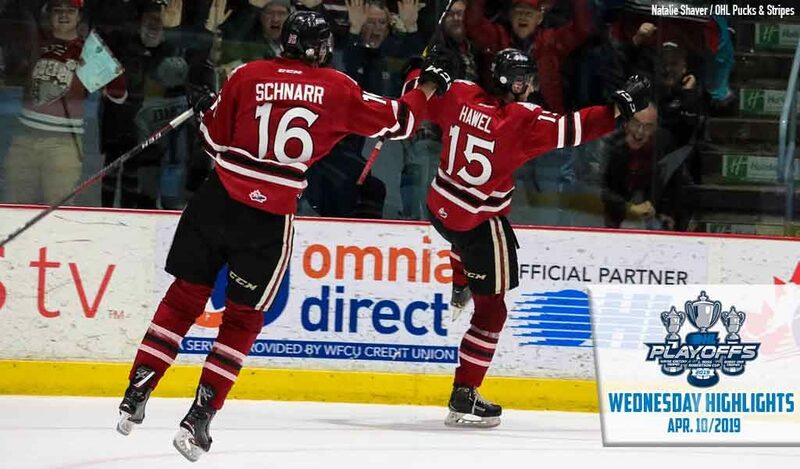 The Guelph Storm live to play another day, edging the London Knights 4-3 on home ice. 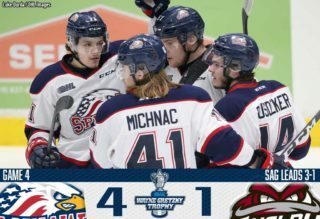 Arizona Coyotes prospect Nate Schnarr (3, 4) gave Guelph its first lead of the series 4:24 into action and scored again 4:58 into the second. 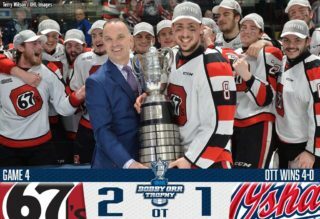 Nick Suzuki (6) scored less than a minute later and Liam Hawel (3) netted the third period game winner while goaltender Anthony Popovich turned in a 39-save performance. The Storm was outshot 42-31 as Popovich came up big on a number of occasions. 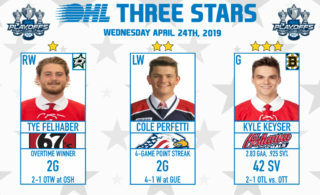 Knights defenceman Adam Boqvist (9) scored in a third straight game while other London goals came from Billy Moskal (2) and Alec Regula (2). 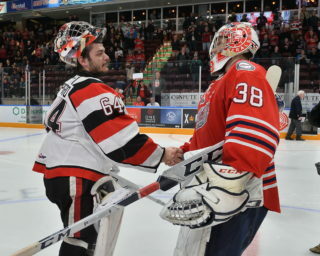 Jordan Kooy made 27 saves in the London crease as the Knights suffered their first loss of the playoffs. The Knights carry a 3-1 series lead into Game 5 back in London on Friday night.